Pokémon Red and Pokémon Blue (known in Japan as Pocket Monsters: Red and Pocket Monsters: Green) are the first two installments of the Pokémon series of role-playing video games, released for the Game Boy in Japan in 1996. They are two of the best-selling video games of all time, having sold in excess of 31.3 million copies worldwide. Set in the fantasy world of Kanto, the game's stories follow the progress of the central character in his quest to become a Pokémon Master. Both games are independent of each other but feature largely the same plot and, while both can be played separately, it is ideal for the player to refer to each in order to complete the game. In Japan, the release of Pocket Monsters: Blue came after the release of the original Red and Green versions. It was originally made available exclusively through the children's magazine CoroCoro Comic, though it was released to the general public on October 10, 1999. Pocket Monsters: Blue and Pokémon Blue are different games entirely. 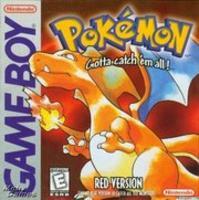 Pokémon Red and Blue have subsequently been remade for the Game Boy Advance into Pokémon FireRed and Pokémon LeafGreen. These, being advanced generation games, serve to allow the player to obtain all of 386 currently-available Pokémon species created by the franchise. much time has actually passed. both games, so it isn’t necessary to own both as you can still get the full experience with either one. special about the first games, it has that little bit of extra charm that keeps drawing you back to it every time.